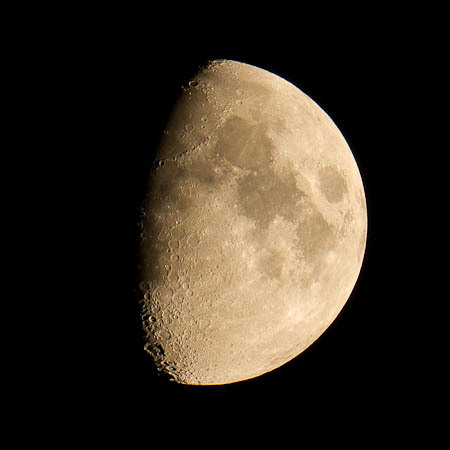 Waxing moon photographed with a Panasonic G2 digital camera and a 80mm refracting telescope (400mm). Since the camera is Micro 4/3 the multiplier is X2 so the telescope is equivalent to 800mm on a 35mm camera. ~ by Admin2 on October 5, 2011. Gorgeous! Isn’t it great when you attach your camera to a telescope. Love it!